2002 was a good year for British canals. Long overtaken by railways and then roads as the chief mode of internal freight transport in Britain, they enjoyed a renaissance as leisure attractions in the latter years of the 20th century. 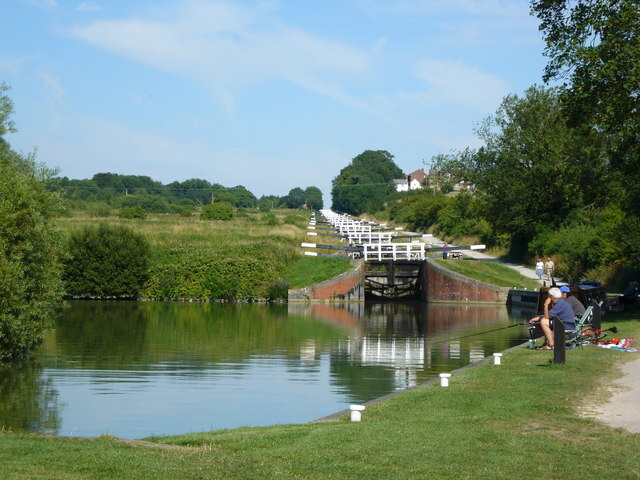 A series of canal reopenings (which continues to this day) has led to a growing ability for holiday makers to go practically anywhere in Britain on a canal boat, provided they have the time to spare. 2002 marked the opening, or reopening, of two of the great sights of the canal network, worthy entrants in the pantheon of beautiful transport infrastructure. Before we get going though, I should probably make clear that I’m talking about narrowboat canals here, not facilities like the Manchester Ship Canal, which remains a busy freight transport artery since it opened 120 years ago. All clear? Good. The British canal system is replete with lovely architecture/engineering, from vernacular lock-keeper’s cottages to dramatic aqueducts. But perhaps the most widely recognised icons of the canal network are its flights of locks. These stacked series of locks were the solution when even the best-laid plans for a canal route couldn’t avoid a steep hill, or where there was a need for a link between two waterways which met at different heights. They’re gorgeous, but they have one major disadvantage, which is that they are gargantually slow for canal boats to make their way through. There’s a great deal of faffing about closing and opening gates, and raising and lowering the paddles which fill/empty the locks. They also waste a lot of water, draining it away from the watercourse at the top end. Victorian engineers twiddled their splendiferous moustaches, or perhaps stroked their mutton-chop whiskers thoughtfully, and announced that there must be a better way, and if good old British engineering and its attendant boffins hadn’t come up with one yet, it (and they) bally well soon would. One of the solutions was the inclined plane, which literally hoiked the canal boat out of one canal, onto a set of rail wheels, and then dragged it up a slope to the higher canal. Sometimes the boats were loaded into a “caisson” (basically a big rectangular bucket full of water into which you can put a boat – you’ll be needing this word later on) with the caisson then transferred up or down the inclined plane. This was all very clever, if slightly brutal, but not very pretty. Much more attractive was the engineering wizardry employed at Anderton, in Cheshire, in the north-west of England. At this site there was a need to overcome a 50ft /15.24m height differential between the navigable River Weaver (at the bottom), and the Trent & Mersey Canal (at the top). Opened in 1875, it originally employed a hydraulic system in which one caisson (see, I told you you’d need to remember it) was pushed up by a hydraulic ram mostly by the weight of a second caisson coming down on its ram. Unfortunately the hydraulic system was never entirely satisfactory because the hydraulic ram systems suffered from corrosion which led to some catastrophic-sounding failures involving barely controlled descents. The problem was that the water the hydraulic rams used was drawn from the canal. This was, to put it mildly, not the purest form of water you might encounter in a Victorian Britain that was short of the stuff anyway. Cheshire sits on a great deal of salt as well (it’s where most of the salt for gritting UK roads comes from; a fact which should kick-start or perhaps kill a discussion at a dinner party, depending on your fellow guests) and I suspect that the salt leaches into the water as well, making it even more corrosive. In 1908, the lift was converted to operate on electric power, with the caissons hauled up and down by a system of pulleys and counterweights. 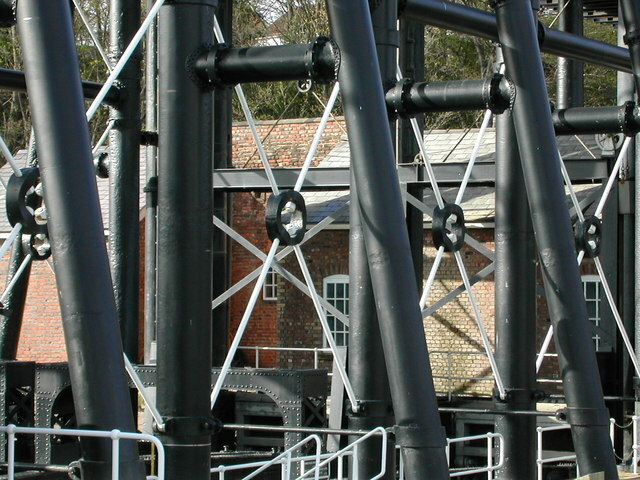 This required the construction of a new superstructure around the original, to house the pulley wheels and other bits and bobs, accidentally giving the lift its distinctive tapered cross-section, wider at the bottom than the top. The legs of the new A-frame structure were placed carefully in line with the original structure so that the distinctive and elegant cross-bracing of the original remained easily visible. 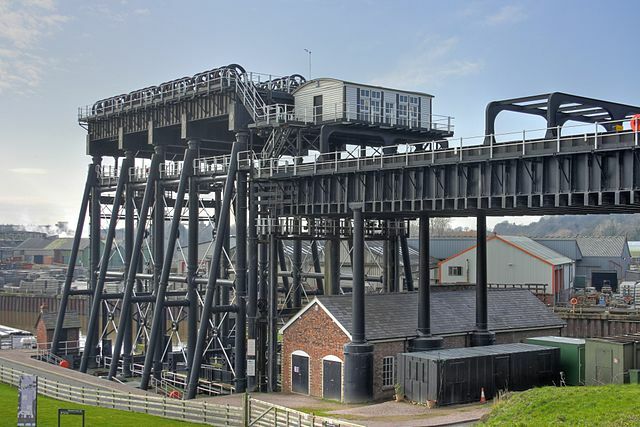 The Anderton Boat Lift’s beauty derives from the pure functionalism of its design. Like the airship sheds at Cardington, it needs no ornamentation for it to be a strikingly beautiful piece of engineering. Everything it does can be read easily from its shape. It makes no concessions to aesthetics but is aesthetically attractive nonetheless. It is honest, dramatic, and quite, quite, beautiful. Its fortunes mirrored that of the canal network as a whole, decaying slowly over the 20th century until it was closed in 1983, too dangerous and too derelict for continued use. Fortunately, the then-canal network operator British Waterways wasn’t content to let it rot, and worked with English Heritage to develop a restoration plan. 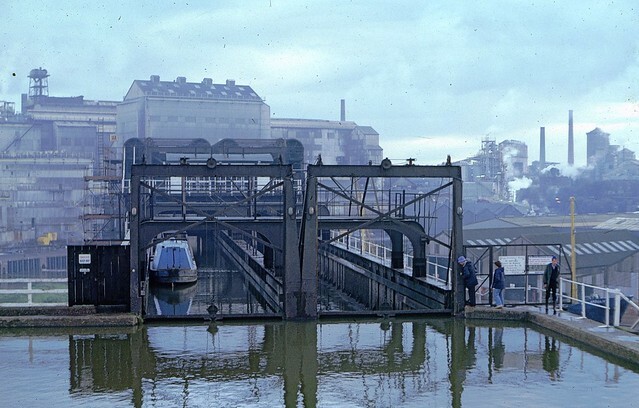 A fundraising consortium was formed and successfully raised some £7m to restore the lift to hydraulic operation (using oil this time, rather than canal water, even though canal water today is much cleaner than it was in Victorian times). The pulley wheels and superstructure of the 1908 electric raising mechanism have been left, although not in use, meaning that the entire history of the lift can be read very easily. It’s not just a pretty museum piece. It’s back to its original use as a link between the Weaver and the Trent & Mersey canal, and is regularly used by holidaymakers travelling between the two on their narrowboats. If you don’t want to go to the trouble of booking a narrowboat holiday (but why wouldn’t you?) 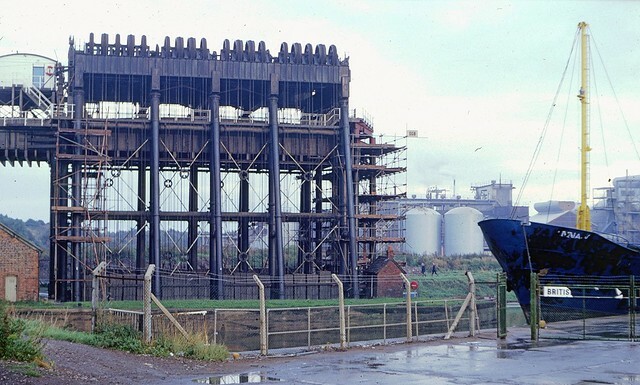 you can still experience the Anderton boat lift. A visitor centre was opened in 2003, and you can take a short boat trip up and down the lift in a boat. You can even go for a walk along the top of the lift on special guided trips. Don’t look down, is my advice. 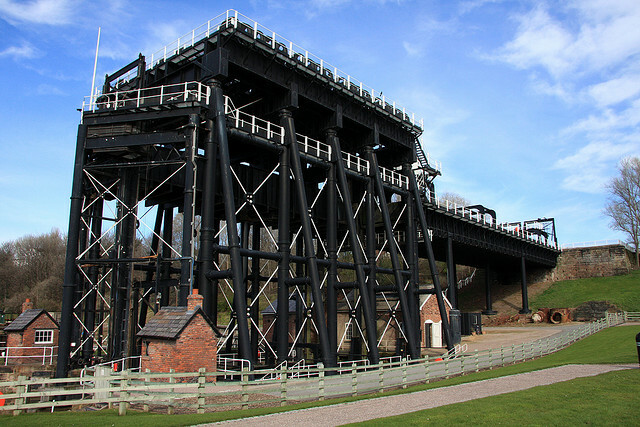 The home page of the Anderton Boat Lift here, with details of visiting times and so on. You know you want to. It’s now overseen by the Canal & River Trust, a charity that took over the assets and responsibilities of British Waterways in England, in 2012. You might want to have a look to the Montech water slope, in southern France, a remarkable piece of engineering which unfortunately is currently not used. It is very close to where I live, I will try to take some pictures. Yes, that is genuinely extraordinary. It’s the sort of thing you’d invent as a spoof! I like that a lot. This is just a note to say thank you. I found your blog thanks to a retweet by Mr Tim Dunn. I am going to be spending a lot of time looking through your archives (love that Monet post) and am now following you. 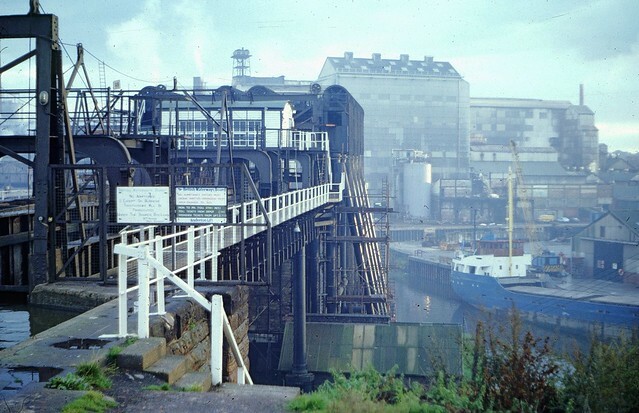 My first real job was at British Waterways Board, Freight Services Division. I was based at Weston Point Docks which was grouped with the Anderton Depot, adjacent to the boat lift. That was in 1970 and much has happened since. Thanks for getting me up to date. I am glad to see it is still working. Though I never got to ride in it,and that is now on my bucket list. Some bucket! Thank you for the kind words! The lift is on my bucket list too. I’m a follower of your blog too, and greatly impressed.